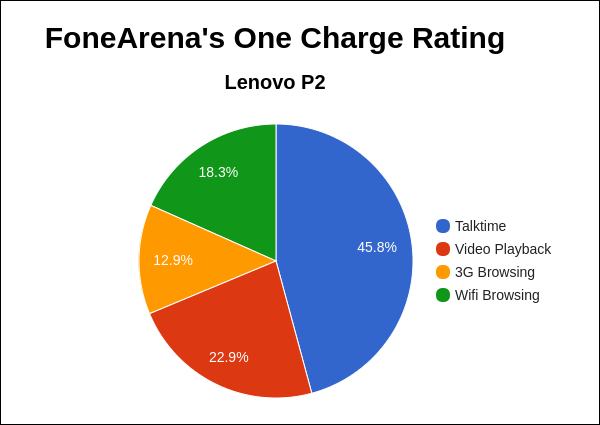 Lenovo launched P2 earlier this month starting at Rs. 16,999. It packs a 5100mAh built-in battery with support for with support for 24W quick charge, has a 5.5-inch 1080p Super AMOLED screen and is powered by an Octa-Core Snapdragon 625 14nm processor. 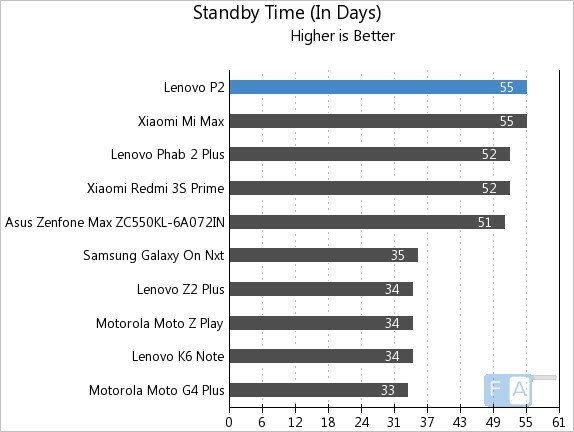 We already brought you the review of the smartphone, here we have the battery life test results of the phone. 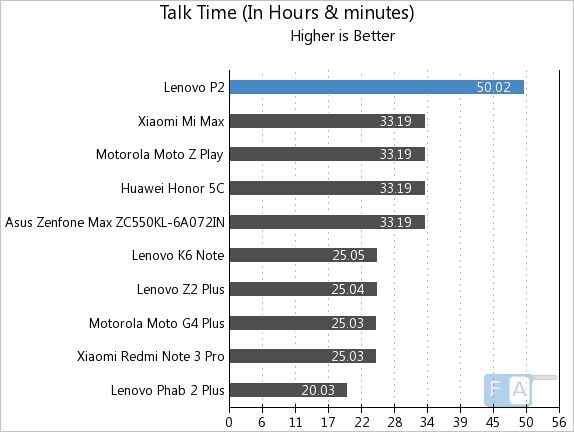 It lasted for 50 hours and 2 minutes in our talk time test, which is impressive. 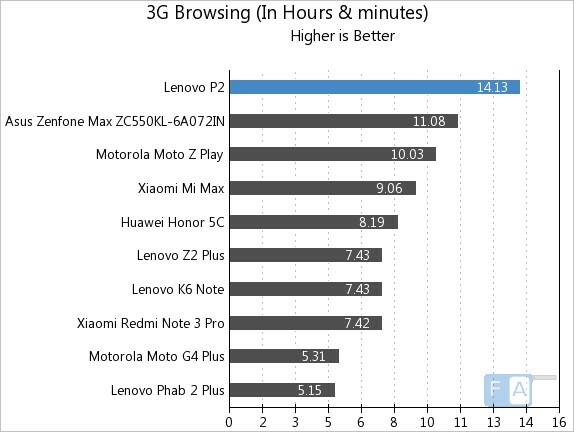 It lasted for 14 hours and 13 minutes in our 3G Browsing test, again impressive compared to other smartphones, including the Zenfone Max that packs a 5000mAh battery. 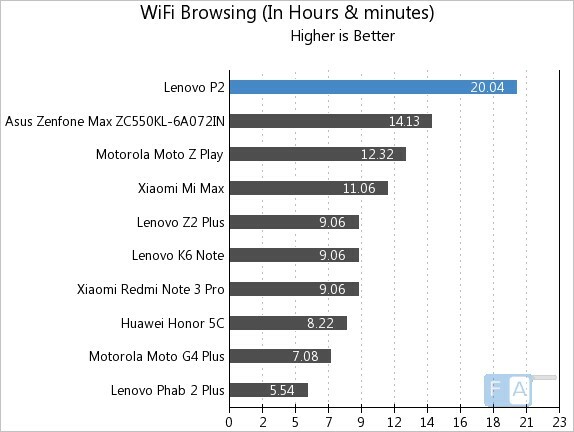 It lasted for 20 hours and 4 minutes in our WiFi Browsing test, again better than other smartphones. 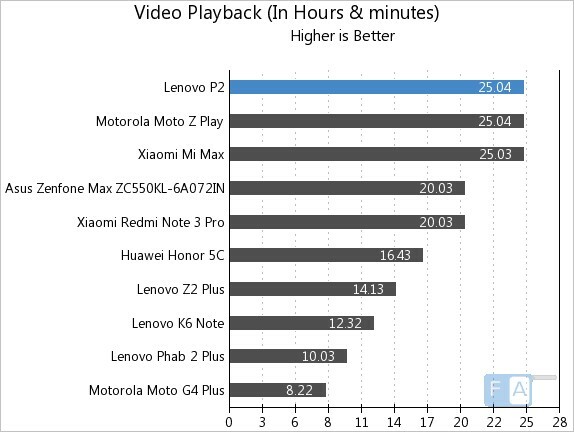 It lasted for 25 hours and 4 minutes in our video playback test same as Moto Z Play and Mi Max smartphones. 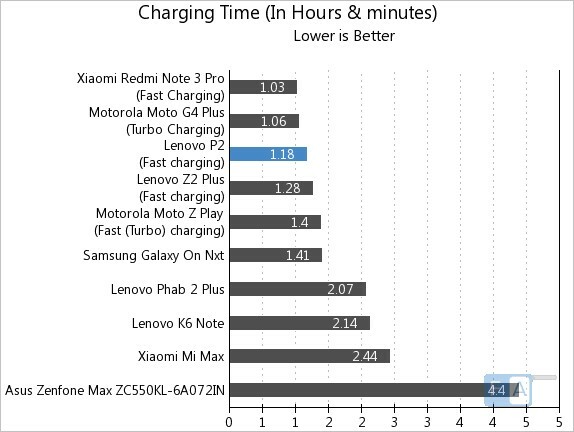 It took 1 hours and 18 minutes to charge the phone using the bundled 24W fast charger, which is impressive since this is a 5100mAh battery. It lasted for 55 days in our standby test. 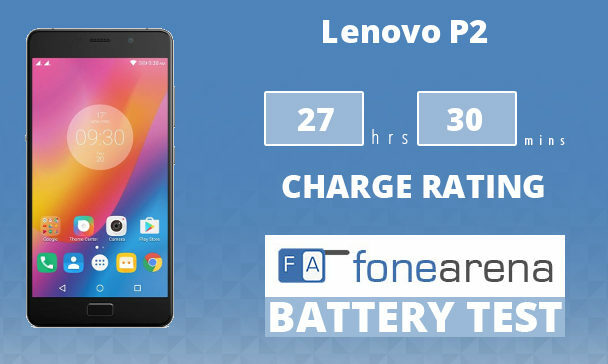 It achieved a One Charge Rating of 27 hours and 30 minutes, which puts the P2 at the top in our list. Check out our battery life test procedure, to know more about our tests in detail.